Regional Chair Jim Bradley delivers his first state-of-the-region address. 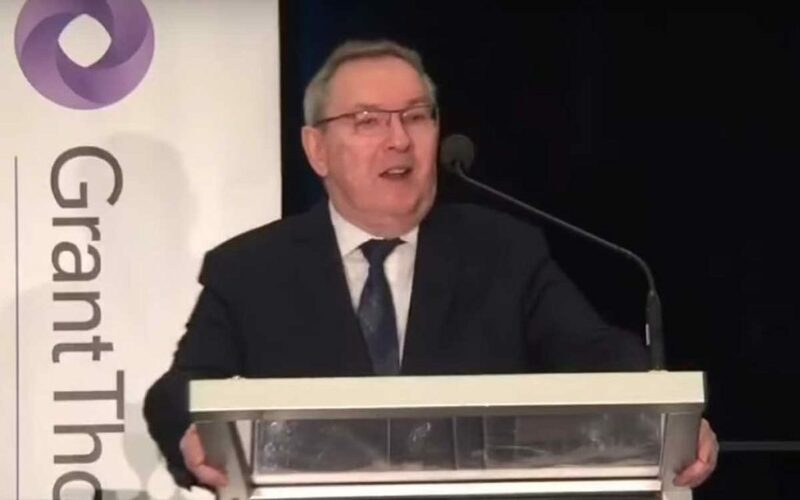 Niagara’s Regional Chair Jim Bradley highlighted numerous successes of the past Regional Council during his first state-of-the-region address last week, hosted by the Greater Niagara Chamber of Commerce and held at the Scotiabank Convention Centre in Niagara Falls. With decades of political experience under his belt, the former Liberal MPP knows when to be diplomatic and when to turn the page on the past. 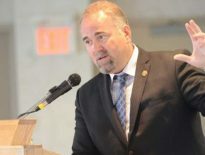 Instead of beating the proverbial dead horse of hiring practices and lawsuits that some councillors still want to drag out, Bradley chose to give credit where credit is due by acknowledging the work of past council during his remarks to Niagara’s business and public sector leaders in attendance. “It is important to look back to the major successes of the past that has set us up going forward,” said Chair Bradley. He named the arrival of daily GO train service and securing the 2021 Canada Summer Games as just two examples of significant accomplishments. The elephant in the room was the pending governance review decision the province is expected to make in the coming months. 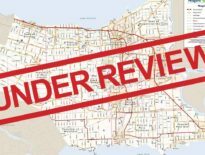 Bradley said he welcomes the review, particularly if it will lead to more efficient services for Niagara residents. “We look forward to cooperating with the province as things move forward,” he told the audience. The remainder of the Chair’s remarks centred around the numerous accomplishments and positive economic indicators that have occurred over the past few years. The unemployment rate has trended down since 2015 and there’s been a significant increase in investment for industrial, commercial and residential development. Bradley noted that over the last three years new building construction in Niagara has totalled nearly $6 billion which is an increase of 56 per cent. Commercial investment has nearly doubled and private investment, the last two years, totalled $3 billion, Bradley explained. When talking about where Niagara will go from here, Chair Bradley said, “Niagara is well positioned as we start the next term.” He cited beginning work on the Region’s next strategic plan and tackling a number of expensive infrastructure projects as a top priority for council. With a regional government that that’s had its balance of power shift from a more fiscally conservative mindset to what is now a very left-leaning tax and spend philosophy, it will be interesting to see if the strong economic growth seen in the previous years will sustain over the next four.